Situated in the heart of downtown Mount Maunganui (a unique resort area of New Zealand) we provide high quality primary healthcare with a comprehensive range of services. We offer late night appointments and we are open Saturday morning to suit our community needs. Mount Medical Centre is committed to excellence in primary healthcare and has achieved cornerstone accreditation. Cornerstone is a continuous quality improvement programme that supports the development of managerial, organisational and clinical systems as a method to improve quality. 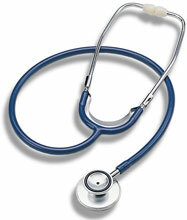 It signifies a practice is commitment to patients by meeting legal/safety standards and continuing quality improvement. Cornerstone is the Royal NZ College of G.P. and is recognition that this practice is best suited to provide professional health care on a continually improving basis. Like our Facebook page to keep up to date with us at the Mount Medical Centre.